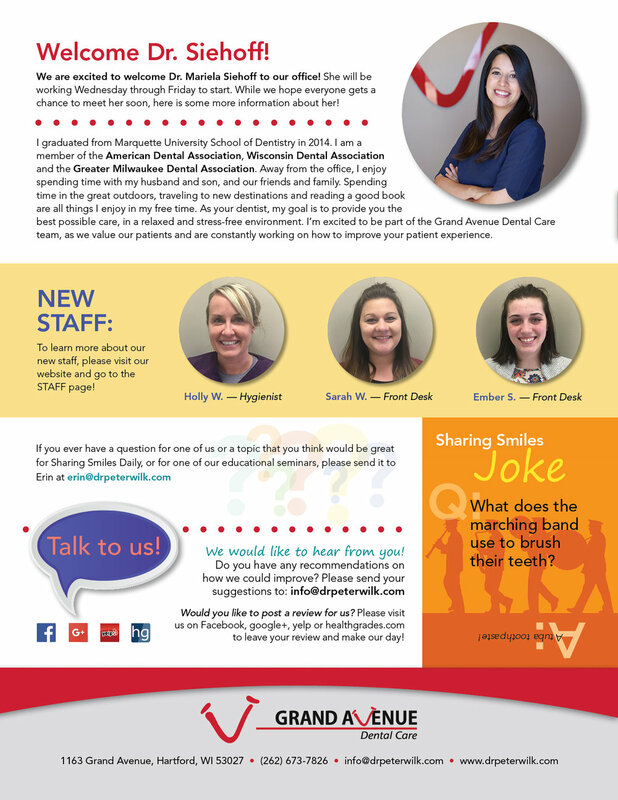 Sharing Smiles Daily - Digital Edition! We did mail out our newsletter a few weeks ago but we thought we would share it here as well, just in case anyone missed it! Enjoy and if anyone ever has an idea for our newsletter or our blog, please email Erin at erin@drpeterwilk.com and we will do what we can to get the info for you! Newer PostSharing Smiles from Day One - Your Child's FIRST Dental Visit. Older PostHave You Scheduled Your Child's Summer Dental Visit?